Affiliate programs are performance-based marketing channels, through which companies reward affiliates for selling their products and services. These programs are used by bloggers and webmasters to make income online. Affiliate programs offer commissions to their affiliates for all products and services sold. Affiliates create websites or blogs to bring in traffic and make sales, for which they earn commissions. Affiliate marketers are therefore prolific bloggers and expert marketers. The incentive that affiliate programs offer their marketers varies from one program to the other. The main appeal of each program is the commission rate and the bonuses that they offer. From an affiliate marketer’s perspective, the remuneration and product mix is what makes any program appealing. Hostgator is a well-known web hosting company. It has a broad reaching customer base all over the world and also in India. This is why it is a great way for affiliates to money by selling their products. Affiliates know that it is easy to sell recognised products than sell obscure ones. Promoting Hostgator products and services will earn an affiliate 44 dollars for every customer who signs up from a promotional link. Affiliates who have blogs or websites that deal with web design and hosting services will be able to make passive income from promoting Hostgator products. 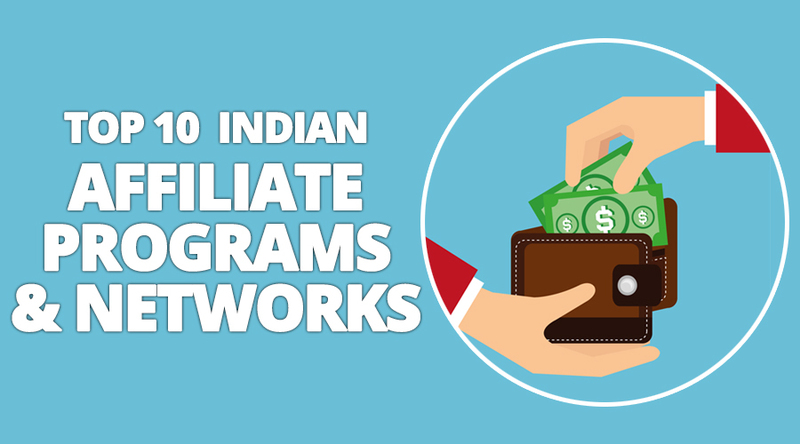 The affiliate program pays over $700,000 to its affiliates in India, proving that it is a great way of making money. This is an online marketplace with a huge following in India. Over 8.5 million products are being sold on the site and a merchant base of over 350,000. The site also offers themed sales days such as Sunday Flea Market, Wednesday Super Saver Bazaar, wholesale products and sales that are held during festivities. The Unique Selling Proposition (USO) of this site is that all products are sold at highly discounted prices. This makes it easy for affiliates to promote and sell products that are on offer at the site. ShopClues offer commissions that range from 7.65%, but the rate will depend on the category of the product. NearBuy, as the name suggests is a local discovery platform and the first of its kind in India. This is where people go to when they want to look for products and services that are located nearby. When looking for a restaurant to eat, or a venue to hold a party, the site offers suggestions to their users. The site has an extensive reach, stretching across 35 cities in India. The site, therefore, makes for easy creation of content since it caters for a broad range of customers. Think about a customer who wants to find a dentist nearby. This makes it perfect for bloggers who deal with dental supplies. NearBuy offers attractive commissions on CPS. Every sale that comes from an affiliate’s link will earn a commission. AdmitAd was started in India in 2015 and is already making ripples across the affiliate marketing waters. This program offers CPA affiliate programs which are some of the most attractive for bloggers and webmasters alike. Admit Ad places advertisements on affiliate blogs, and commissions are only earned when a sale is made from these ads. The network offers ads from an extensive range of brands from all over the world. This makes the network attractive to affiliate marketers who will not lack products or services to blog about and earn some money when readers follow the ads and make purchases. Within the few years that Admit Ad has been in India, the affiliate network has grown to over 550,000 publishers. Since they have a 7 to 10-day payment cycle, it means that affiliates get their money faster. 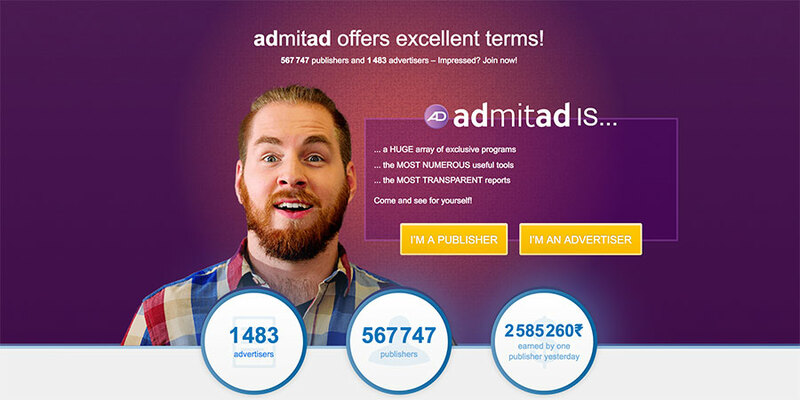 Apart from attractive commissions and fast payout, AdmitAd also has tools which publishers can use to analyse the performance of the ads. eBay started off as an online auction platform and has, over the years, helped businesses and individuals to sell all sorts of things, from vehicles to personal belongings. People list all kinds of things, and some of them are outright weird, but they still do attract attention and finally get sold. Since eBay has a broad range of products to be sold, an affiliate program was launched, where bloggers and webmasters can advertise products being sold on eBay and then earn a commission after a sale has been made from their links. Various tools can be placed on a blog or website. These include banners, widgets, links and others. eBay lends itself to different niches due to the extensive range of product being sold there. If there are bloggers who write about horror, then there are scary items on eBay that can be bought by people on their blogs. This is an affiliate program suited for people in the travel industry. Bloggers who write about travel and holiday should take this opportunity to make money from this network. 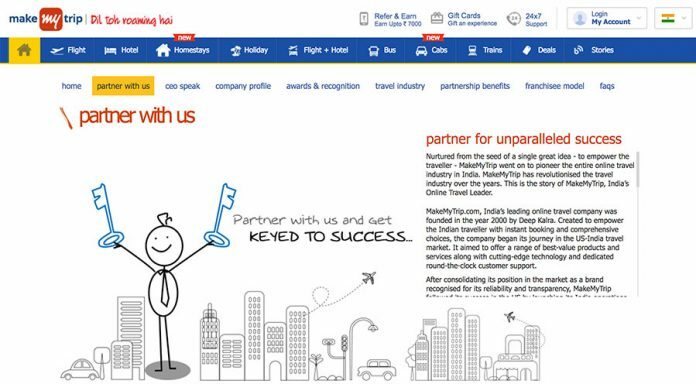 In India, MakeMyTrip has built a reputation of being effective and efficient in the provision of their services. Travelers get to make their bookings quickly through the portal. Whether booking airline or train tickets, booking hotels and other accommodation; all of these can be done through the portal. 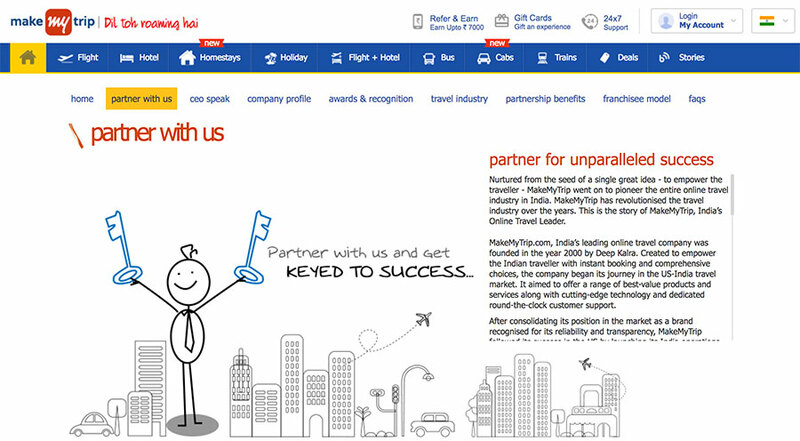 MakeMyTrip also offers very high commission rates for sales generated by their affiliates. This is a desirable affiliate network since the competition is low. This is an affiliate program best suited to web designers and bloggers who blog about web hosting. Big Rock gives affiliates very high commissions for every sale generated from their links. The company offers high-value hosting services, and this makes it very attractive to potential customers. The combination of the product mix and the high commissions they offer makes them ideal for anyone who is looking at making money online. Big Rock offers commission rates ranging from 22.5% to 45% of all sales generated by affiliates. All web building tools will attract commission of up to $14 for every sale made. This is ideal for affiliates in the tech world. Amazon was first launched in India in the year 2013, and their affiliate program is one of the best in India. Amazon is a global brand, and this has helped build trust amongst customers. This belief has resulted in better sales for affiliates in the network. Their large products mix also ensures that affiliates have a large stock to offer their customers. Apart from the wide range of consumer products, customers also have access to Amazon branded products like Amazon Fire TV, Amazon Prime Video and Kindle. The program also comes with an app which helps to build sales since customers will be able to buy while on the go. The app also has a CPI benefit to the affiliate; when a customer installs the Amazon India app from one of your links, you get a commission for that. Their commissions range from 7.43% to 9.39 depending on the product category. The name tells you that this started as an online bookstore, and has progressively grown into one of the leading affiliate programs in India. Apart from leading book titles, you can get a wide variety of products from the site, both physical and digital. They have a broad range of categories, therefore offering affiliates a great opportunity to make money. The site is similar to Amazon and is becoming a formidable challenger, to the world leading affiliate program. The different categories on Flipkart attract different commissions, so affiliates need to go through these before deciding which products they would like to promote. Flipkart has an app that can be downloaded and used for buying items on mobile devices. This is great news for affiliates since their prospects of getting more sales are higher. They offer payments through electronic bank transfer or gift certificates. 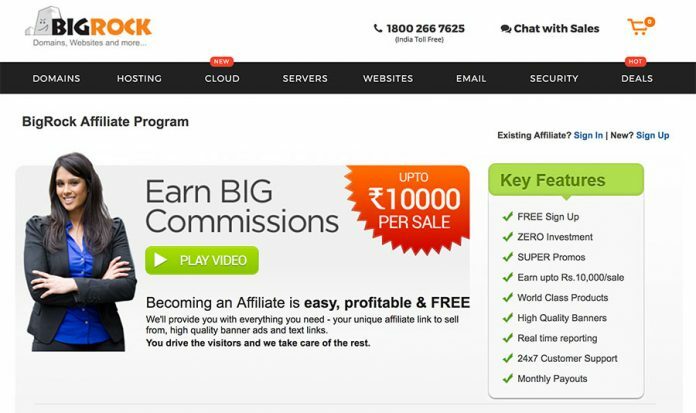 This was India’s first affiliate programs and is, therefore, the largest. They are a performance marketing network, whereby affiliates are paid based on their results. They are always there to help you customise your objectives to get maximum earnings. This network is an e-commerce enabler in that they help you generate more sales due to their knowledge of CPS campaigns. The leads that you generate from the network are verified and guaranteed, so you get commissions for each sale. Their well-known branding ensures that you get money making links on your website or blog. They have CPS, CPI, CPC and CPA offers. Their app also increases the chances of making commissions from purchases made from mobile phones. The minimum payout for this site is $100, and they deposit money in their affiliates’ bank accounts on time. Although the above affiliate networks are the top 10 in India, we have found others that offer great promise to affiliate marketers in India. This is a site that is akin to MakeMyTrip. It helps people make comfortable and convenient travel and holiday accommodation bookings. From cheap hotels to airline tickets and Holiday packages, the site has them all. Due to its popularity, Yatra.com has an affiliate program for the promotion of packages and offers on the site. This makes it ideal for bloggers who write about travel in India. This is one of the newest affiliate programs in India since it was launched in 2016. It is an online marketplace with a wide range of product categories on sale. It has gained a reputation of offering high quality national and international products for sale for their customers. Whether one is looking for lingerie, footwear, electronics, watches, pens and other hard-to-find items, they will probably be listed on the site. Promoting Tata Cliq products is very attractive for affiliates in India. Among online market places in India, Tata Cliq is offering the highest commission to its affiliates – 12.5%. If you love writing about fashion or sell fashion accessories, you should consider promoting Jabong products on your site or blog. The site hosts a wide range of trending fashion items so it will be easy to generate sales. They have a wonderful customer service department and their delivery is never late. Affiliates can make up to 10.12% of the sales they generate. This is an international web hosting provider and has affiliates all over the world including India. If you have a site that has content about anything related to WordPress, then this is the affiliate program for you. Who says affiliates cannot make money from until exchanges? Shaadi.com offer affiliates the chance to make money from getting people to sign up for wedding ceremonies. This is great for bloggers who post about weddings, wedding supplies, wedding apparel, wedding planning and other wedding-related topics. You get 75% commission on every couple who book their wedding through this site. There are many affiliate programs in India, offer the citizenry the chance to make money from their blogs. The commissions also seem to be very attractive compared to others all over the world. Although affiliate marketing is still very young in the country, the opportunities are time-tested and therefore safe to pursue. This is your chance to get into affiliate marketing; join some of the affiliate programs listed above. You can use viglink affiliate program because it is all in one affiliate marketing company which have Almost all programs with good payout. And the best think of this affiliate, No Need to apply for program listed under this affiliate, you can any time use it, without apply for separately….